For American travelers contending with a cutthroat dollar-to-kroner conversion rate, budget Norway travel may read somewhat as an oxymoron. Happily, a bit of budget-savvy planning can help you to tuck a few kroner away during your Norwegian stay. Fresh off the boat (and train, bus, and ferry) from the country’s popular Norway in a Nutshell tour, which weaves together transportation, lodging, and activities for an unforgettable trip through western Norway’s breathtaking fjord, mountain, and coastal countryside, herewith the full report on how to best crunch those kroner and maximize your wow-factor stopovers when plotting your route. Granted, a Norway in a Nutshell excursion won’t exactly cost you peanuts, but these money-saving travel tips can help ensure that what you do shell out for won’t leave you plain nuts. Managed by Fjord Tours, the fully customizable Norway in a Nutshell trips are offered year-round and take in the spectacular fjord scenery of western Norway – expect shifting landscapes of impossibly steep vertical cliffs, rushing waterfalls, verdant hanging valleys, ice-blue glaciers, and snow-capped mountain peaks. 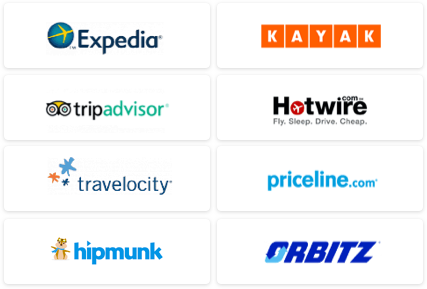 The tours afford independent travelers one-stop shopping for seamlessly coordinated trips, inclusive of public transportation, accommodations, and activities. Via their website, Fjord Tours helps travelers, from the passive nature observer to the adrenaline-seeking adventurer, determine the best stopovers en route to suit their travel interests; coordinate sensible schedules aboard varying means of public transport (a mix of regional and local trains, ferries, and buses); and book suitable lodging and activities (like kayaking, biking, or skiing). While the Norway in a Nutshell excursion can theoretically be done as a day trip, it’s far better enjoyed as a more leisurely one- to three-night adventure. 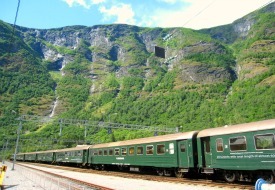 Itineraries can kick off in Oslo, Bergen, or Voss, and though fully customizable, the core of each Norway in a Nutshell ticket incorporates essential transportation highlights, including lengthy segments aboard the scenic Bergen Railway (one of ShermansTravel’s Top 10 Train Trips, pictured above right). The highest altitude railway in Northern Europe, the Bergen Railway runs 231 miles across the majestic mountain ranges and plateaus that fall between Oslo and Bergen (a 6.5-hour nonstop run each way). Embark aboard the engineering marvel that is the steep Flåm Railway, which connects Myrdal to Flåm with some 20 tunnels, and includes a photo stop at the mammoth Kjosfossen Waterfall (one-hour trip; railway pictured above left). Journey between Flåm and Gudvangen on the Fjord1 cruise, a two-hour voyage that takes in the wilderness wonders of the Aurlandsfjord and narrow Nærøyfjord, two untamed fjords flanked by towering mountain ranges. The connecting fjords are arms of the glacially carved Sognefjord, Norway's longest and deepest fjord; the latter is listed on UNESCO’s World Heritage List. Also take in the two waterfalls and 13 nail-bitingly narrow hairpin turns of the Stalheimskleiva road, navigated as part of the coach run between Gudvangen and Voss (open from May through September; one hour). There are no additional charges for stopping off for overnight stays in designated stops en route, though precise schedules must be decided when booking for ticketing purposes. Changes to scheduled departures once on the road may require a supplemental fee. Pricing for Norway in a Nutshell tickets remain flat year-round, so you won’t have to contend with inflated prices for a peak summer outing. Basic round-trip transportation rates, sans lodging or activities, start at $172 from Bergen (via Myrdal), $325 from Oslo (via Voss), or $370 from Oslo (via Bergen); cheaper one-way tickets to Bergen from Oslo are also available from $236. Though there is no student or senior discount, families will catch a break: Children ages 3 and under travel for free (though you’ll need to make a reservation to ensure suitable seating), and kids ages 4 to 15 pay just little more than half-fare. Bookings can be made online. Consider investing in the Fjord Pass discount card, also sold via Fjord Tours. 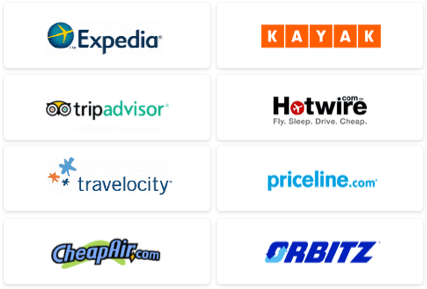 Norway’s most extensive hotel discount card will get you a 20 percent discount on nearly 150 participating accommodations (hotels, cabins, and apartments included), as well as a 10 percent reduction on AVIS rental cars, and up to 25 percent off select activities (including glacier walks, boat trips, skiing, and more). Note that participating hotels include breakfast in the listed rates; you’ll have to supply your own meals at self-catering apartments or cabins (an economical choice for families or small groups who stock up on groceries at local supermarkets). The Fjord Pass costs $23 and is valid for up to two adults and two accompanying children, ages 14 and under. If you’re traveling alone, be prepared to tack on a single supplement of $41 per night for hotel stays. Fjord Pass accommodation rates start from $57 per person, per night, for a standard double hotel room, while cabin and apartment rentals start at $71 per night. Visit www.fjord-pass.com to book. The tiny storybook village of Flåm (population 400) is big on tourism, serving as a popular cruise port and terminal for the Flåm Railway. Set at the innermost part of the Aurlandsfjord, narrow valleys, towering mountain peaks, countless waterfalls, and picturesque architecture make outdoor activities like hiking, biking, and kayaking extremely popular here. * Best Cheap Day Out: Bike the tail end of the popular cycling path Rallarvegen Road (also known as the Navy Road) through the Flåmsdalen Valley. 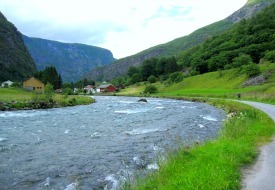 From the town center, pedal alongside segments of the Flåmselva River, through picture-perfect valley villages (stop off at the wooden Flåm Church, dating to 1667), and past the Brekkefossen Waterfall. Put in some extra pedal power for the ride up to the 460-foot Rjoandefossen Waterfall for a picturesque photo op and satisfying turnaround point. With minimal stops, the ride can be done in two hours round-trip (trail pictured above right). Bike rental outfit Rallarvegen, based at the town center, offers 2-hour rentals from $16 (full-day rentals are available from $41). * Best Value Digs: The charming 121-room Fretheim Hotel is our top lodging pick in town, with roots dating back to the 19th century as both a farm and a fishing and hunting lodge for vacationing English lords. Rooms are split between the stately historic section (which was fully renovated in June), with 31 individually decorated rooms and a historical tower suite, as well as a more modernized wing. Climb to the property’s centerpiece tower-top for sweeping town and fjord views, and seek out some downtime in the historic library. While hardly budget accommodations, the value-for-the-money here, with a great location, atmospheric environs, and a hearty breakfast, makes it well worth it. The best-priced rooms run from $135 per person in a double room, with breakfast, during the peak summer season; or, save some kroner when rates drop to $103 per person for stays between October and March. Fjord Pass holders will save an additional 20 percent. * Best Bargain Bites: Since you’re splurging on the room, skip out on pricey Flåm restaurants. Stock up instead on grub at the cooperative supermarket at the town center. Norway’s second biggest city (and its original capital), the colorful port of Bergen boasts a long history as a hub for merchants and seafarers, dating as far back as 1070. With a seaside setting cradled by seven mountains, this gateway to Norwegian fjord country is primed for excursions to neighboring fjords, though there are enough cultural attractions to warrant sticking around in Bergen proper for a night or two. Consider maximizing your Bergen budget with a Bergen Card, which entitles bearers free travel on city buses, plus free or discounted admission to various attractions, tours, restaurants, and more. It can be picked up at the tourist information center at the Fish Market. A 24-hour card costs $33, or $12 for kids ages 3 to 15; a 48-hour card runs $43, or $16 for children. * Best Cheap Day Out: Visit Bryggen, a historic row of wooden houses that once was a bustling Middle Ages merchant area run by the Germanic Hanseatic League; it’s now on the UNESCO World Heritage list and has since been converted into a bevy of restaurants, shops, and artisan workshops (access is free). 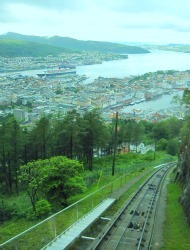 Nearby, a $7 fare ($3.50, or free in low season, with the Bergen Card; kids pay half price) will hitch you a one-way lift aboard the Fløibanen Funicular to Mount Fløyen (pictured above left). Savor panoramic views of the city and harbor, enjoy walking trails, and even hop in a canoe with free rentals on Skomakerdiket Lake, a budget-friendly offering that debuted last summer (available mid-June to mid-August). Skip out on the funicular fare back down and opt for a picturesque (and free) downhill stroll back to the city center instead. * Best Value Digs: Bunk down at the centrally located 33-room Hotel Bergen Park, with the bulk of its individually decorated rooms situated in the historic main building, dating back to 1890. Rates in high season start at $225 for two people in a double room, including breakfast and Wi-Fi; rates with the Fjord Pass dip to $179. Bonus for single travelers: They’ll bump you up to a double room for the rate of a single room (priced from $162), based on availability. * Best Bargain Bites: While away an afternoon savoring free samples of smoked salmon, caviar, and more local delicacies at the busy harbor-front Fish Market. A bit of a deviation from the more well-trodden stops on the Norway in a Nutshell route, the 10-resident town of Finse’s appeal lies in just that. Set at 4,009 feet, the tiny mountain enclave is the highest station on the Bergen Railway, bordered by a duo of national parks (Hallingskarvet and Hardangervidda). Accessible only by train, it’s a great base for seeking out some sweet solitude and partaking in outdoor pursuits like hiking, biking (especially along the famed Rallarvegen route), glacier walks, or, in winter, cross-country skiing and ski-sailing. Note that though Finse is a stop on the Bergen Railway, it isn’t typically sold as a stopover on the Norway in a Nutshell tour, so you’ll need to call Fjord Tours to make the special arrangements for transportation, and will also have to book lodging independently. The supplementary train fare is $16, which will get you a new seat reservation onward to Myrdal or Oslo the next day. 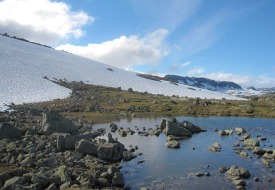 * Best Cheap Day Out: Seek out the Blåisen arm of the dome-shaped Hardangerjøkulen Glacier via a 7.5-mile round-trip hike (pictured above right). While walking on the glacier itself requires special equipment and the assistance of a paid professional guide, you can access the foot of the glacier for free. * Best Value Digs: More than a century old, the 43-room Finse 1222 is an intimate mountain lodge engulfed by larger-than-life scenery. Relaxed and historic, it opened in 1909 (the same year as the Bergen Line) as a rescue lodge for train passengers in the case of snow or inclement weather. No-frills rooms deliver the basics, while a small bar, shop, and sports rental equipment center round out the offerings. Full room and board rates run $213 per person (a fair rate considering the excellent meal inclusions); kids 3 and under are free; ages 4 to 6 cost $33; ages 7 to 12 cost $115. Note that the Finse 1222 doesn’t participate in the Fjord Pass and that the property has two opening seasons – winter runs from New Year’s to early June, while summer lasts from early July to late October. * Best Bargain Bites: A stay at Finse 1222 gets you full board, including a hearty breakfast buffet spread (they bake their own bread on-site) where you can also pack your own to-go lunch, and a formal sit-down three-course seated dinner, highlighting savory made-from-scratch dishes sourced from a top-notch kitchen each evening. See our Norway destination guide for general trip-planning information, then use our Travel Search price comparison tool to find the lowest rates on flights, hotels, vacation packages, and more travel deals.